From its humble beginnings in the late 1980s, through to the global force that it is today, the capabilities of 3D printing technology have expanded dramatically, to establish itself as an attractive manufacturing solution for prototyping and production. 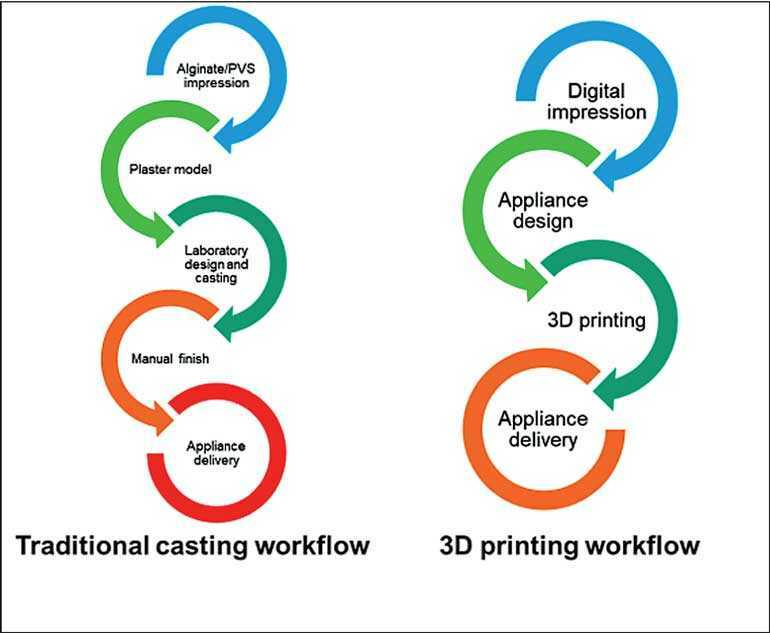 Conferring advantages such as shorter lead times, reduced waste and opportunity for mass customisation, the potential of 3D printing was quickly realised and has gone from strength to strength since. One of the key industries to have successfully leveraged these advantages is the medical and dental industry. In the IDTechEx Research report, 3D Printing in the Medical and Dental Industry 2019-2029, 3D printing in the medical and dental industry is forecast to be worth over $8.1 billion by 2029. 3D printing allows the production of a wide range of devices such as hearing aids to Invisalign aligners to prosthetic limbs. Use of 3D printing in these applications leverage its ability for mass customisation from 3D imaging data. Personalisation is particularly important to medical devices designed to be worn by the patient for extended time, as this improves patient comfort, and with that, adherence to the treatment. No manufacturing process in the medical sector has been as disrupted by 3D printing as that of the hearing aid. 3D printed hearing aids are made with digital precision, an improvement over the lengthy hand-crafting process that sometimes resulted in pieces that were not perfectly fitted. This is important where less than a millimetre of difference can lead to discomfort for the wearer. Thus, adoption of 3D printing has not only streamlined but also enhanced the manufacturing process. Given these benefits, 3D printing is gaining popularity in the field of dentistry, and is also emerging as a method of manufacture for several other medical devices where customisation is key to improved patient comfort and improved therapeutic outcomes. The range of applications is not limited to the manufacture of medical devices. 3D printing is also used extensively in surgical procedures, whether in the creation of patient-specific 3D models for teaching, planning and visualisation, intraoperative surgical guides, disposable surgical instrumentation, or custom plates, implants, valves, and stents to be implanted into the patient. 3D printing advances surgical standards and improves efficiency, resulting in improved surgical outcomes for the patient. 3D printed implants are durable, lightweight and customised to fit the patient for better functional and aesthetic outcomes. The range of applications is not limited to medical devices or surgery. 3D printing can used to manufacture pharmaceuticals, such as patient-specific pills. Personalised medication is especially promising in disrupting the way we treat chronic conditions, by helping patients streamline the number of pills that they must take, and by creating patient-specific dosages that will limit the unwanted side effects experienced. Moreover, as the development of 3D bioprinting continues to evolve, there is scope for the implantation of personalised organs as part of regenerative medicine. IDTechEx’s recently published research report, 3D Printing in the Medical and Dental Industry 2019-2029 draws from extensive IDTechEx expertise within the field of 3D printing. IDTechEx analysis of 3D printing and 3D bioprinting technologies, as well as 3D printing materials and 3D printing software, is provided in context of medical and dental applications. A 10-year market forecast for 3D printed medical devices and 3D bioprinting is also provided, which is accompanied by IDTechEx market and regulatory outlooks. Each stand-alone chapter includes the motivations and restraints of adopting 3D printing, analysis of commonly used 3D printing technologies and 3D printing materials, detailed applications and case studies, and a discussion of specific regulatory concerns.